Want it by Wednesday 24th April? Order within 4 days, 20 hours, 55 minutes and choose Next Working Day - Kerbside Delivery (Order Must be Placed by 2pm) at checkout. 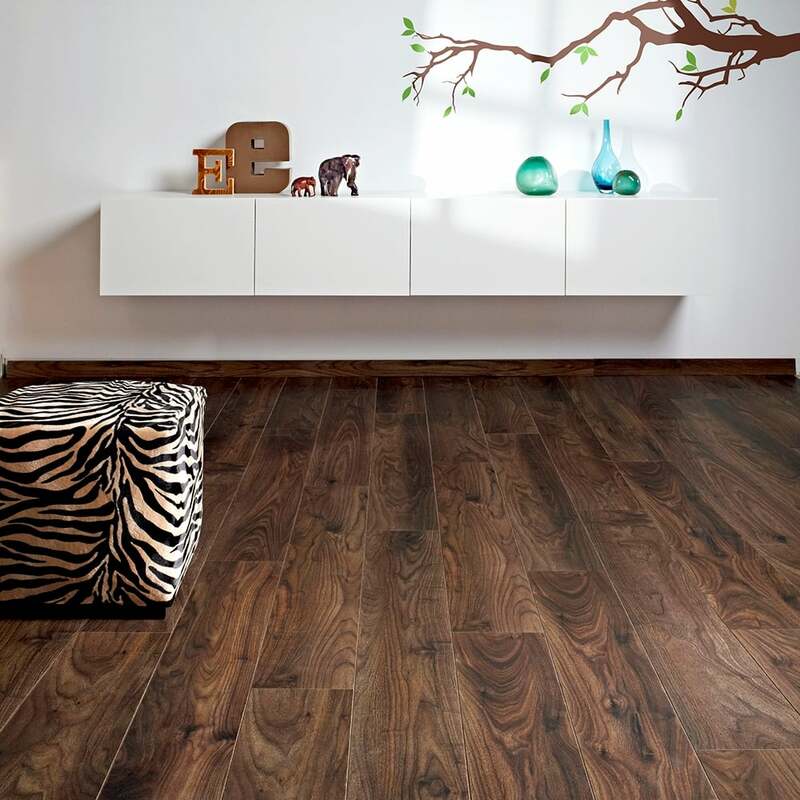 The Premier Select Southern Walnut is a very popular and modern dark 8mm thick walnut laminate that will act as a stunning focal point in any home. Premier Select Southern Walnut is suitable for all heavy residential applications with excellent wear ability and hygienic qualities. This flooring is beautiful and was just the perfect finish I was looking for a dining room. The flooring was easy to lay for two people with no experience. The boards feel very strong and sturdy and are difficult to scratch or scuff. It hasn't marked despite the best efforts from my German shepherd. The quality and feel of the top surface is very nice and feels luxurious underfoot. I love this wood. Arrived so quickly and is exactly how it looks online. Perfect! This floor is exactly the colour and style we were looking for, easy to lay and delivery was quick and early enough in the day. We have laid this on our living room and we think it looks amazing, would definitely recommend this floor and discount flooring depot for their product range, quality of products, cheap prices and ease of ordering. Very good quality flooring in am definitely going to buy my flooring from you. Seems reasonable quality, just what I've been looking for colour scheme wise also. Ordered on Friday for delivery on Monday. Very quick and simple. Love the look of the flooring also the colour. Lovely flooring unfortunately a bit to dark for our room. Wood seems very good and not like the cheap flooring you get. This is the best looking walnut laminate I have seen. Delivery was fast and price was good.